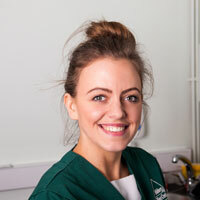 Amber qualified as a RVN in July 2014, after 6 years experience. She enjoys the variety of her role as a Veterinary Nurse. In her spare time she enjoys keeping fit and spending time with her little boy. Amber has 2 rabbits and 2 cats.